It won Gold at the Pinz Awards in Auckland. 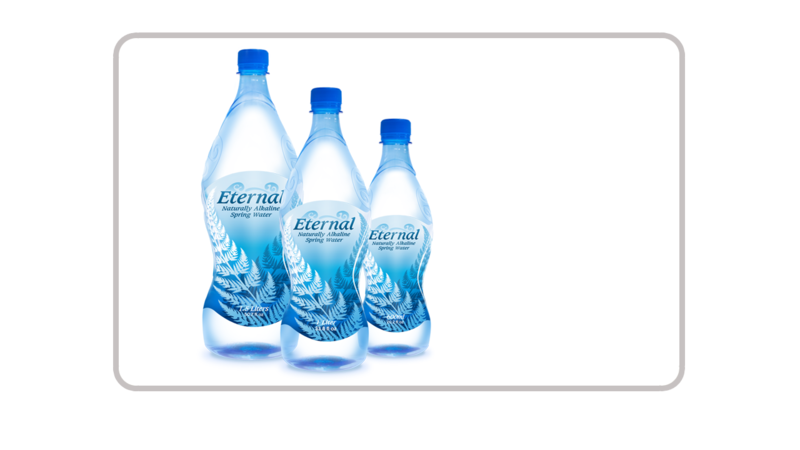 Launched in the USA the Eternal water bottle is a remarkable pack. The double sided printed label,(positioned at the back) is visible through the water, creating a fish eye perspective of the label. When passing a range of bottles on the shelves, the labels start coming alive.